If living at home in your early 20s with an exasperated mother who wants you out of the house doesn’t seem like a morbid enough reality, try having to witness a death. That’s at least part of the plot of Mortality Badge, a dark comedy set for an April 27 release date. 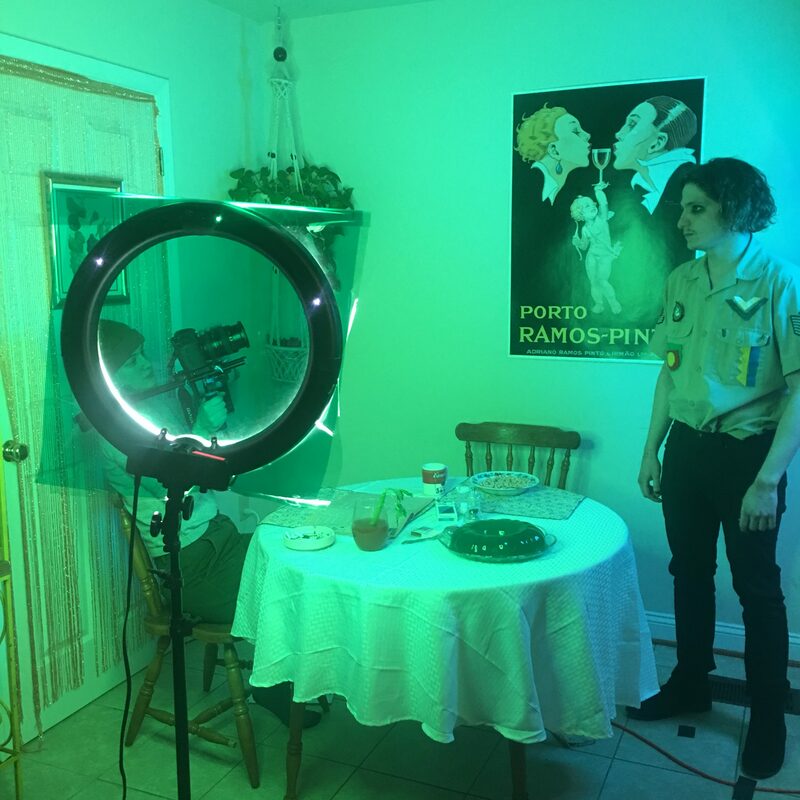 The small-budget film, directed by junior film major Grace Doherty, was made entirely by VCU students and filmed in Richmond. Viewers from the area will recognize iconic local sceneries like the Hollywood Cemetery, Jefferson Park, and Oregon Hill. The story follows the adventures of Raul — a misunderstood young man who leads a lonely life dealing with the passing of his father and the verbal abuse and neglect of his mother — on his journey to find the coveted mortality badge, a self-invented merit which he hopes will give him purpose in life. But the badge is earned, not given, and the only way to earn it is by fulfilling some bleak prerequisites like attending a funeral and witnessing a death. Joel Vazquez, a senior theatre major who plays Raul, says taking on such a dark character made him not only a better actor, but a genuinely more understanding human being. Raul may look and act a certain way, Vazquez says, but those who watch the film should be able to see past the stereotype. “Unfortunately, he was raised in a way where he could only see the world on a darker spectrum due to the emotional disconnect with his mother,” Vazquez said about his character. Struggling to find the humor in all this? Then you’ll just have to watch Mortality Badge to understand its quirky, kitschy humor in the mold of Napoleon Dynamite — or better yet, the same kind of twisted, irreverent irony you would see in Netflix’s End of the F***ing World. Viewers should come in with an open mind, Sheedy says, and be prepared to do some deep introspection once they’ve seen the film. The film debuts at the Richmond Public Library on Friday, April 27 at 4 p.m. Check out the trailer here.